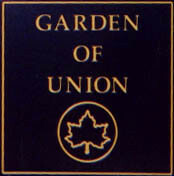 The Garden of Union consists of three lots that are owned by the City of New York. Our lease agreement as a community garden stipulates that our membership keep the gate open to the public for 20 post hours each week between April and November. 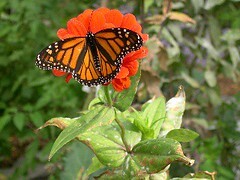 The garden changes every year according to many factors. As changes occur, so may our rules. Please read them often. It is our goal as a group to hold open this healthy, community green space for everyone in the neighborhood and visitors, too. Our community is people near and far who give their money, ideas or time. As we move forward, we bring our history, too. The garden began with the efforts of Annie Thompson and her husband John. The site of a burnt down bakery became Annie’s Garden in the early 1970’s. A few years later the other two lots that comprise the larger garden were added: neighbors and Park Slope Food Coop (PSFC) members founded New York’s only communally operated garden. “Communal” means that everyone helps. We do not trade work duties or fees for growing areas as most other community gardens do. We rely on people pitching in when they are able and cooperating with one another to get the job done. Our connection with the Park Slope Food Coop helped our garden form as a cooperative space. And the compost partnership we have formed with them has turned rubble into some of the best soil in New York City. Our rules exist to help to increase our community and horticultural functionality and to be safe for everyone. The garden has been used for a long time as a contemplative and educational space. Our habit of deciding major changes through the consensus process ensures that all voices will be listened to. It can be a slow process. Emergencies happen and the garden acts, as required. Respect for all members and living entities is an overarching principle used in our decision-making along with long term care of the garden. Some members are with us a short time and others have been here since nearly the beginning. Annie has passed but her work and that of many others continues. We each play a role in how good the garden can be. Please help us achieve our potential by cooperating with and adding to the structures in place in our garden.